While putting this together I tried to mostly use things you would probably have on hand in your home. 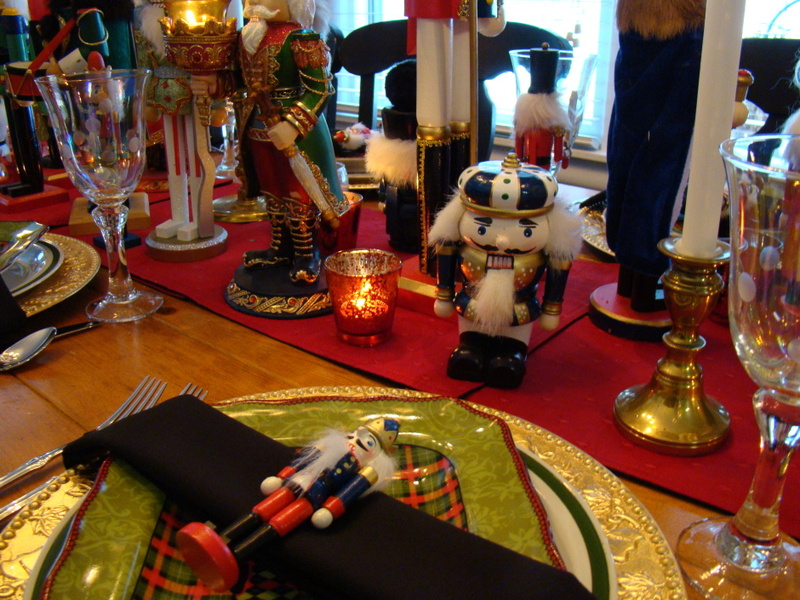 I started by gathering several nutcrackers along with dishes and candles. 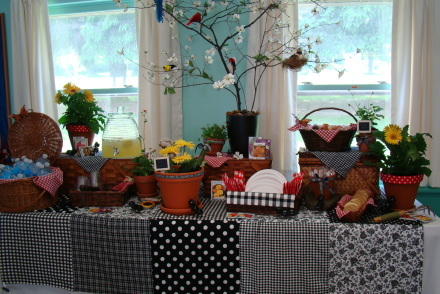 For the first step I used five red rectangle placemats and lined them down the center of the table. 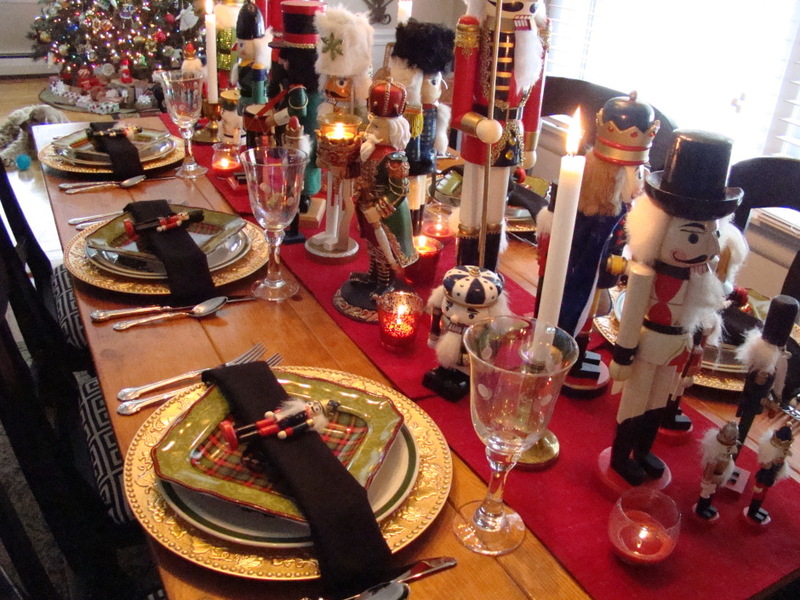 Next I added three gold candlesticks staggered down the table. On to the Nutcrackers… I started with the tallest nutcrackers and placed two of them in a imaginary triangle, using the chandelier as the top of the triangle to give the impression of height being carried down to the table. 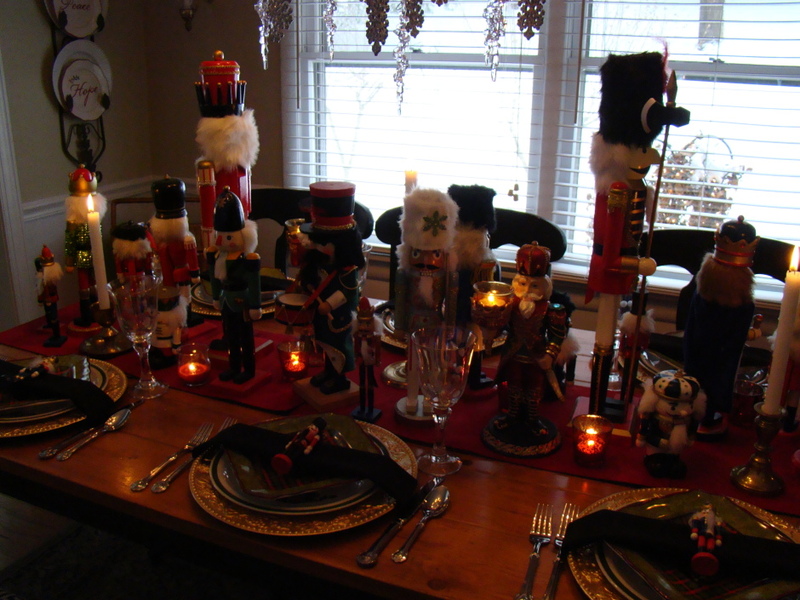 Next I filled in with the medium nutcrackers, staggering them down the table, then filling in with the smaller nutcrackers. Next came the candles to fill in empty places and give candlelight for dinner. 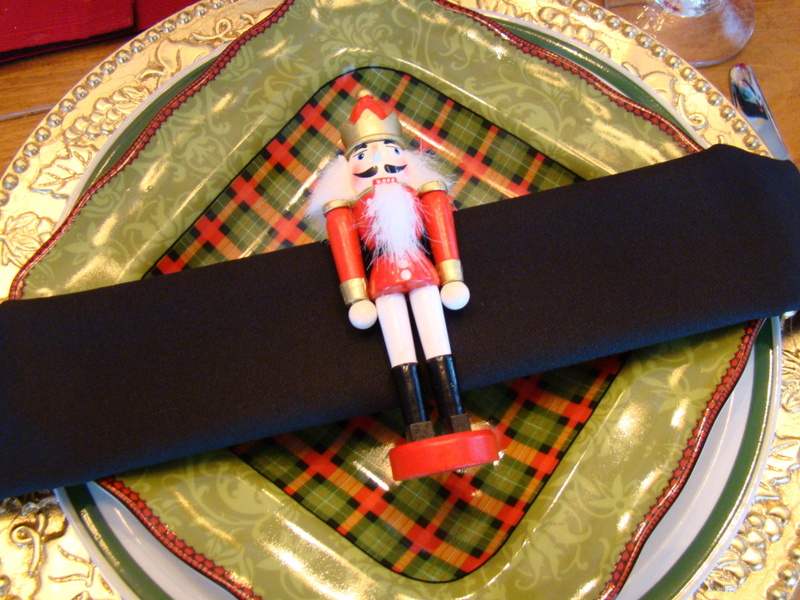 With the black napkins I simply folded them the long way and tucked them under the charger. 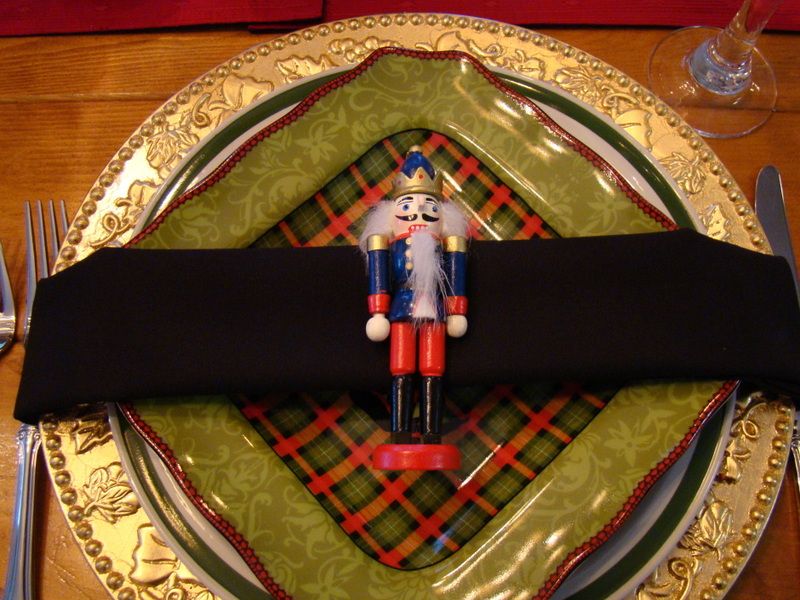 I placed a tiny nutcracker on top and voila! There ya have it. A versatile table that is suitable for adults and children, and can be for a brunch, a luncheon, or a dinner party for Christmas. 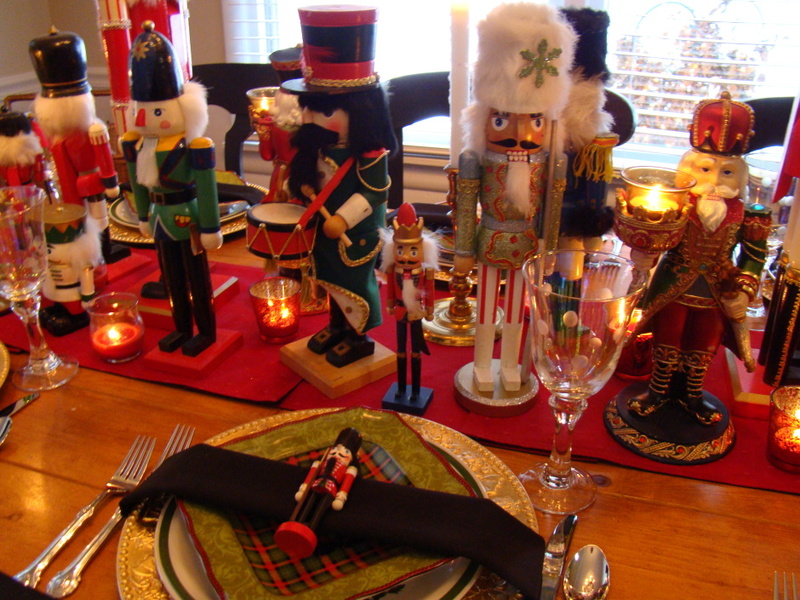 If your nutcrackers are a completely different color group, then go with what colors are suitable with your nutcrackers. 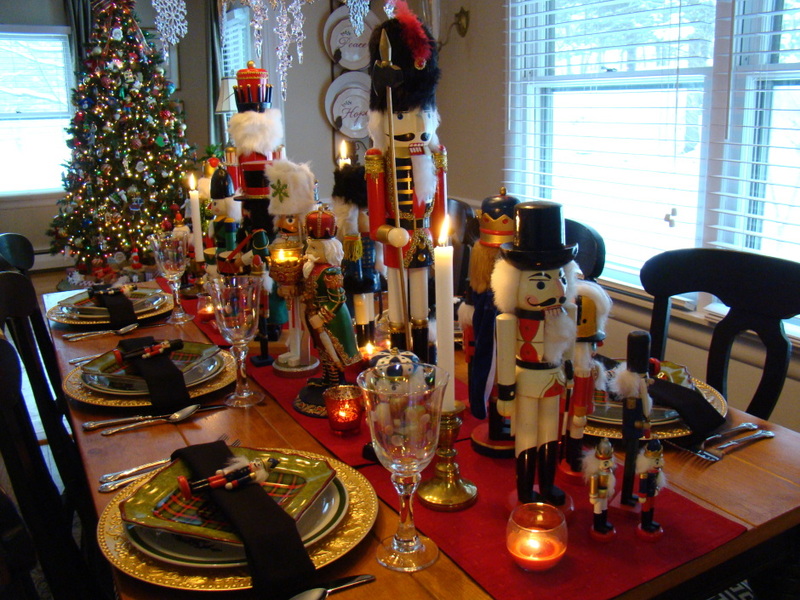 Let the nutcrackers be your jumping off point to guide the color scheme. This table can be down to earth or elegant with lots of sparkle and glam. 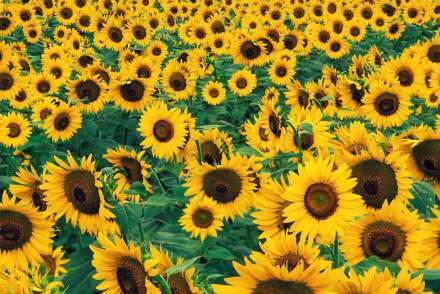 There is no limit to your imagination! 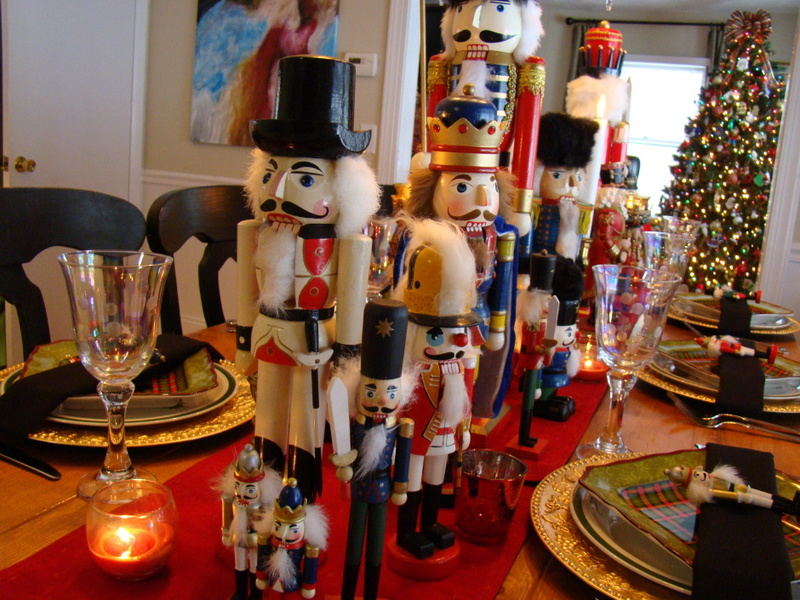 If you do not have this many Nutcrackers try to concentrate on the center of your table and work your way out from there. 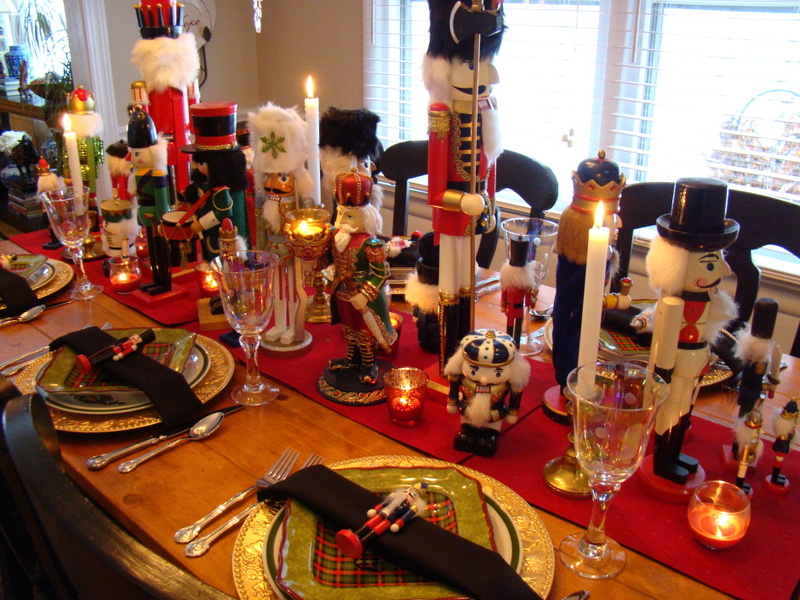 The fewer nutcrackers you have the closer you will need to assemble them together to give more of an impact for your table. 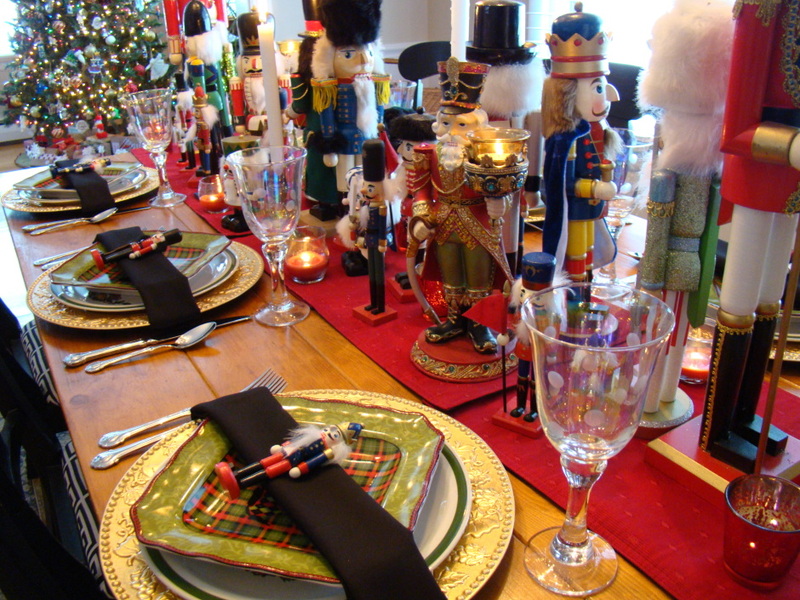 You can also add Apothecary jars filled with nuts to add more pizzazz to the table if you are short on nutcrackers. 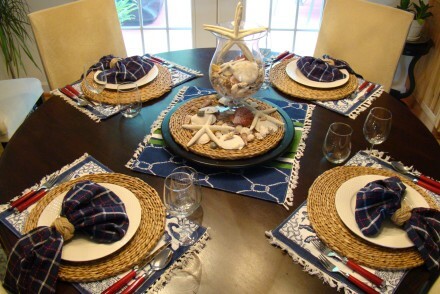 I hope this table will inspire you to gather items that make you happy and bring you fond memories. Most importantly, remember to keep it simple and fun. When the host is happy the party is happy! Merry Christmas! !